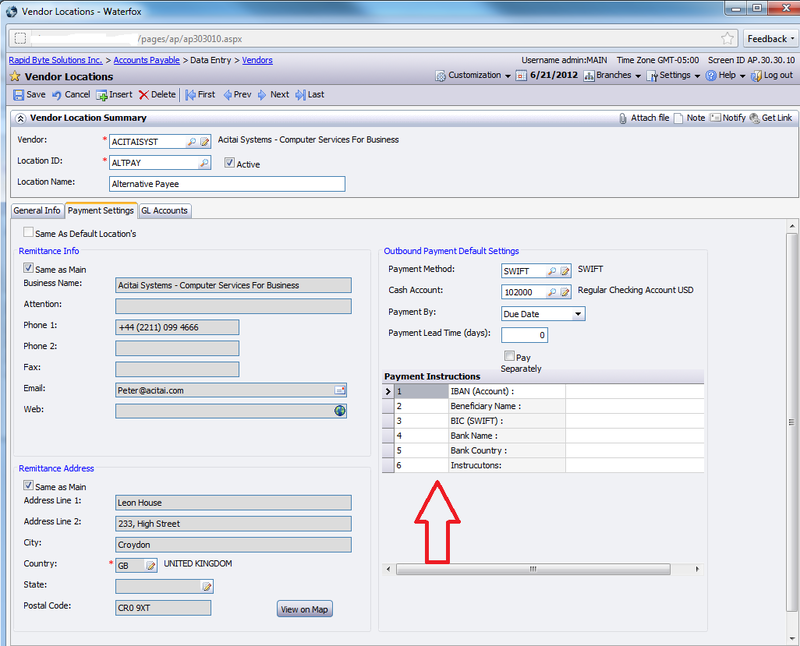 Alternate Payee is a concept in Accounts Payable and Accounts Receivable. It is when your vendor is either managed by another company, who receives payments on their behalf or simply vendor wants you to send money to a different company from their own. It could be just settlement between them and third party. The problem is how to achieve it, when printing checks or processing GIRO (Singapore term for ABR) transfers. 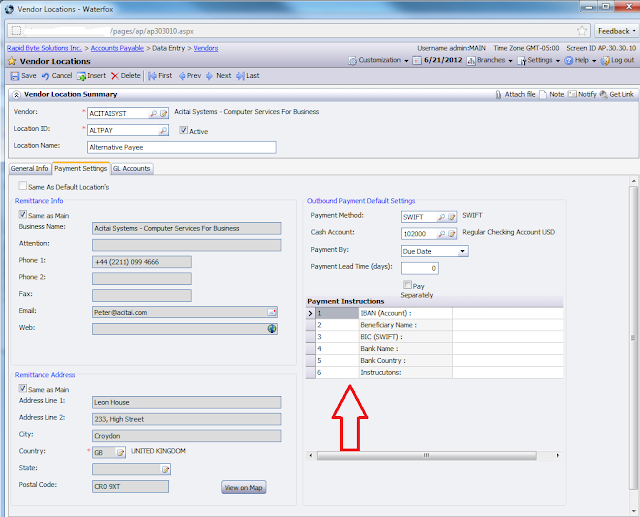 In Acumatica we implemented multiple Vendor Locations, which can be used to indicate Alternate Payee. Each location has Payment Settings attached. And you can make that location to be taken as default when preparing a check.